This might be one of the most Portland country albums there is. 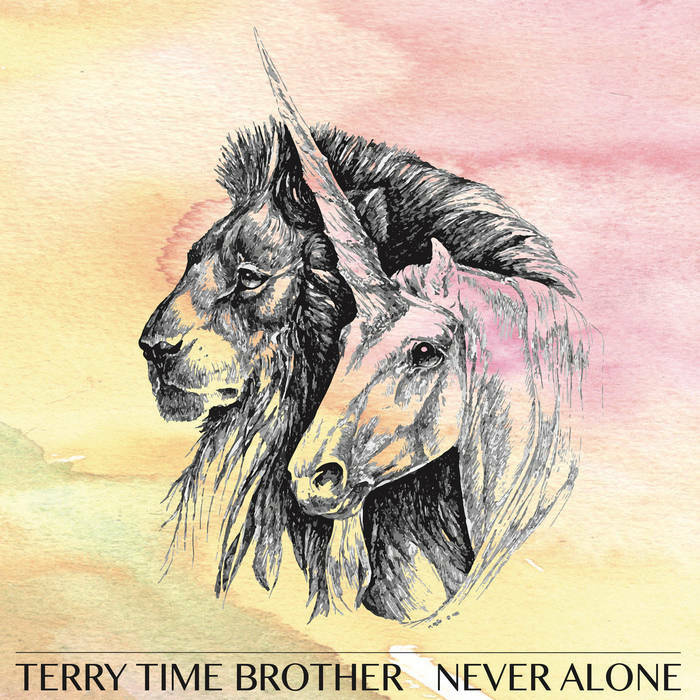 Terry Time Brother, the project of Benson Amps craftsman Terry Benson, has that detached feel and existential crises that PDX has become known for. Far from being derivative, though, Benson's debut solo album is a richly-textured product that'll give you pause as you hurtle towards the year's end. If you took the Pixies and turned the knobs to make them a little more melancholy and a little less hopped up on all the drugs, Never Alone's languid lullabies are what you'd get. "Astrovan," an ode to the ubiquitous minivan of the 90s, charmed the heck out of me. I got hooked into the album through the crunchy "Glass Ceiling," which evokes some of the best power pop of the '90s. But I stayed for "Snake River" and "Did You See Her," hushed meditations on the transitory nature of life. Unsurprisingly for an artist who specializes in amps, the album sounds fantastic -- a noticeably excellent mix that allows the guitar work to shine as much as the lyrics. Help me help you find great music! Please subscribe to my Patreon or drop a tip in my Ko-fi cup!